More than 5,000 students will attend Graduation at the University of Southampton this year, alongside seven leading figures from the fields of music, media, the arts, health and education. The awards will be made at the University’s Graduation ceremonies, which run from Thursday 15 July, at its Highfield campus. Ceremonies will take place daily in the Turner Sims and the Nuffield Theatre, until Thursday 22 July. Professor Don Nutbeam, Vice-Chancellor of the University of Southampton, says: “Graduation is a time of great celebration for the University, especially our students. It provides an opportunity for us to congratulate them on their achievements here at the University and to wish them well as they make the transition from student to graduate. In all our students’ accomplishments, both while they are with us and during their subsequent careers, their success reflects well on the Southampton experience and our place as one of the leading universities in the UK and the world. the University of Southampton in 1989. She joined the BBC in 1991 as a news and current affairs trainee. Her German stood her in good stead when applying for her first posting abroad as the BBC's Berlin Correspondent in 1993. However she says, her linguistic abilities were severely challenged by the need to learn Russian when she became BBC Moscow Correspondent in 2000. Three years later, it was time to ‘mangle’ the language of Proust and Moliere as BBC Paris correspondent from 2003 - 2007. She is now the BBC's defence correspondent, having covered the conflicts in Kosovo, Chechnya, Iraq and currently in Afghanistan. 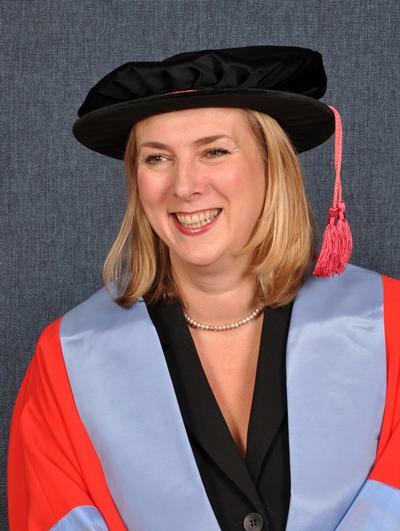 Caroline will receive the honorary degree of Doctor of Letters at the ceremony beginning at 12 noon, Thursday 15 July in the Turner Sims. Courtney Pine is an outstanding jazz musician of international renown. He has sought to redefine the vocabulary of jazz as an art form, incorporating elements of electronica, hip-hop, reggae, funk, and Eastern sounds into his work. Courtney has striven to bring contemporary jazz to a wide audience in the UK, while at the same time upholding the highest standards of musicianship and composition. He has championed the work of a new generation of young black British jazz musicians, forming the legendary big band “Jazz Warriors”, whose members have subsequently had a major impact on the development of British jazz. Courtney is a respected broadcaster and presenter, well known for his long running BBC Radio 2 programme Jazz Crusade, and his education work includes international workshop tours in Africa, Asia, and South America. He is also a film music composer of note. Courtney was awarded a CBE for services to music in 2009. Courtney will receive the honorary degree of Doctor of Music at the ceremony beginning at 4.45pm, Thursday 15 July in the Turner Sims. Professor Michael Arthur is Vice-Chancellor of the University of Leeds (since 2004). He was formerly Professor of Medicine (1992), Head of the School of Medicine (1998-2001) and Dean of the Faculty of Medicine, Health and Life Sciences in Southampton (2003-04). He is a hepatologist with research interests in liver cell biology developed initially at UC, San Francisco (1986-1988) and as a Fulbright Distinguished Scholar at Mount Sinai School of Medicine in New York (2002). Professor Arthur became a Fellow of the Academy of Medical Sciences in 1998. He is Chair of the Russell Group, a member of the Council of the Medical Research Council, and a Fulbright Commissioner. Michael will receive the honorary degree of Doctor of Letters at the ceremony beginning at 2.15pm, Tuesday 20 July in the Turner Sims. Through her work as a doctor, researcher, epidemiologist and her various roles as national and international clinical policy director for maternal health policy for the Department of Health Professor Gwyneth Lewis has been a vocal and consistent advocate for improving maternal and newborn health around the world. She fights for social equity and easy and universal access to high-quality maternal and newborn health care services for all mothers and their children. She has been consistently committed to identifying and overcoming the underlying barriers to care and meeting the needs of the neediest and most excluded mothers and infants, wherever they may live and was recently awarded the OBE in recognition of her work to promote women’s health and safe maternity services both here and abroad. 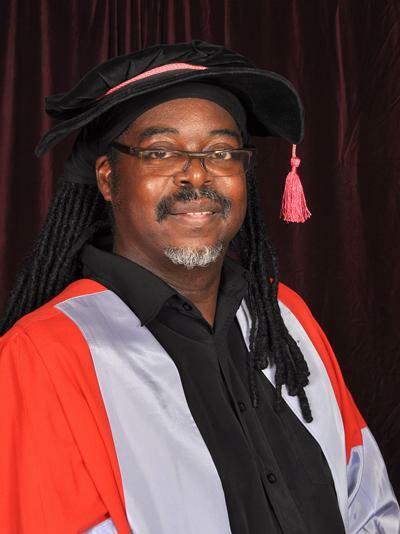 Gweyneth will receive the honorary degree of Doctor of Science at the ceremony beginning at 4.45pm, Tuesday 20 July in the Turner Sims. Shami Chakrabarti has been Director of Liberty since September 2003. Shami first joined Liberty as in-house Counsel on 10 September 2001. She became heavily involved in its engagement with the “War on Terror” and with the defence and promotion of human rights values in Parliament, the Courts and wider society. Since becoming Liberty’s Director she has written, spoken and broadcast widely on the importance of the post-WW2 human rights framework as an essential component of democratic society. She is Chancellor of Oxford Brookes University, a Governor of the London School of Economics and the British Film Institute, a Visiting Fellow of Nuffield College, Oxford, and a Master of the Bench of Middle Temple. 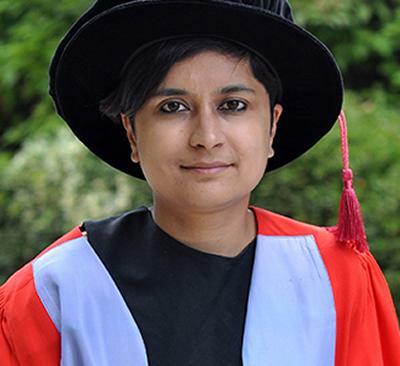 Shami will receive the honorary degree of Doctor of Letters at the ceremony beginning at 9.30pm, Wednesday 21 July in the Turner Sims. Mona Hatoum is a visual artist who was born into a Palestinian family in Beirut in 1952 and now lives and works in London and Berlin. She has worked in a diverse range of media and has participated in numerous important exhibitions including the Turner Prize, London (1995), The Venice Biennale (1995 and 2005), Documenta XI, Kassel (2002) and the Biennale of Sydney (2006). Solo exhibitions include Centre Pompidou, Paris (1994), Tate Britain, London (2000) Hamburger Kunsthalle; Kunstmuseum Bonn; Magasin 3, Stockholm (2004), Museum of Contemporary Art, Sydney (2005) and Palazzo Querini Stampalia in the context of the Venice Biennale (2009). She was the first non-European to be awarded the prestigious Sonning Prize given every other year by the University of Copenhagen to a person “who has significantly contributed to the advancement of European civilization”. Mona will receive the honorary degree of Doctor of Letters at the ceremony beginning at 12 noon, Wednesday 21 July in the Turner Sims. Stephen Deuchar is Director of the Art Fund, a charity that helps UK museums and galleries buy works of art. Recent highlights include the campaign to save the Staffordshire Hoard and helping National Galleries of Scotland and the National Gallery acquire Titian’s Diana and Actaeon. Stephen was Director of Tate Britain for 12 years, responsible for the establishment of a major programme of adventurous temporary exhibitions and leading significant re-assessments of the work of artists such as Blake, Gainsborough, Holbein and Millais, as well as a series of thematic exhibitions such as The Pre-Raphaelite Vision, Turner, Whistler, Monet. Stephen organised the Turner Prize from 1999 until 2009, when he was also Chairman of the Judges. An alumnus of the University, Stephen holds a PhD in Art History from the University of London, was an Andrew Mellon Fellow at Yale University and is the author of publications including Noble Exercise: The Sporting Ideal in 18th Century Art. Stephen will receive the honorary degree of Doctor of Letters at the ceremony beginning at 2.15pm, Wednesday 21 July in the Turner Sims.